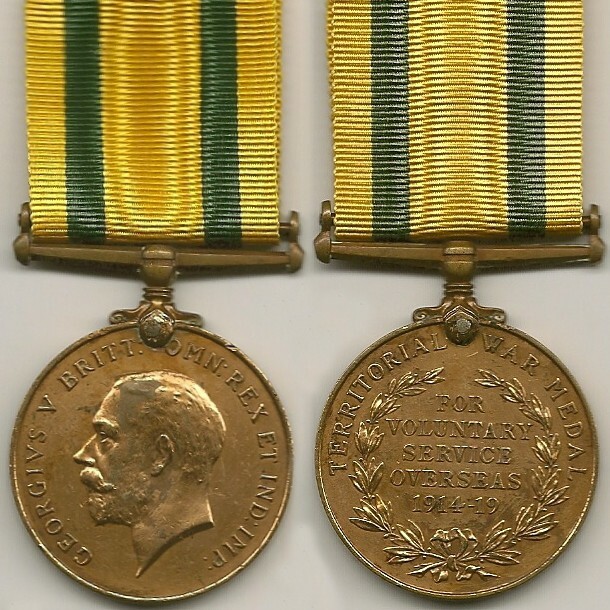 Figure 1: Obverse (left) and reverse of the Territorial Force War Medal. Table 1: Number of TFWMs to RA Officers Listed in The Great War Medal Collectors Companion. Table 2: Number of TFWMs to Royal Artillery Officers according to WO 329/3271. Lt J.I. Huggett, Lt Col J. Magnus, 2nd Lt J.E.B. Oakes and Lt Col H.A. Orme are listed under “Royal Artillery” on page OFF/171 and also under “RFA” on page OFF/132. Lt Col C.A. Blundell, Capt F.A.W. Cobbold, Maj J.R. Collins and Maj R.H. Davy are listed under “Royal Artillery” on page OFF/171 and under “RGA” on page OFF/139. Table 3: Numbers in Table 2 readjusted for the nine names that are duplicated on the roll. Figure 2: The group of five with the Territorial Force War Medal to Colonel A.R. Mutch, RGA. Additionally, most of the 368 Royal Artillery officers who are listed on the rolls under the heading “RA” actually served during the Great War with either the “RFA” or the “RGA”. Table 4 indicates the subdivision of the Royal Artillery indicated on the medal index cards for the 438 Royal Artillery officers listed in Table 3. Table 4: Subdivision of the Royal Artillery (based on medal index cards) in which the 438 Royal Artillery Officers shown in Table 3 actually served. 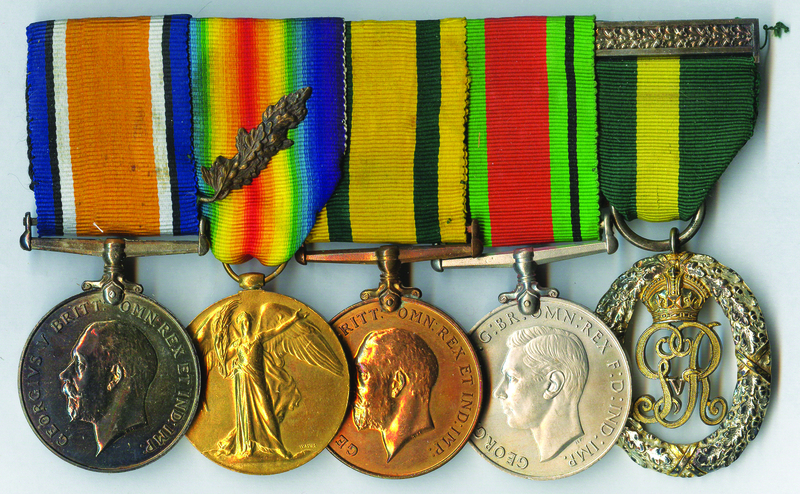 While the above numbers may be primarily of interest to those who collect medals to Royal Artillery officers, they should also be a warning to all medal collectors that before they blindly accept the numbers presented by others, they should carefully check to ensure that the numbers are both accurate and precise. An online database of Royal Artillery Officers who received the TFWM is available here. The Honourable Artillery Company which had both an artillery and an infantry component.